Xavier University Bhubaneswar (XUB) sees itself as a quality institute delivering the best in the country management education to students from the world over. 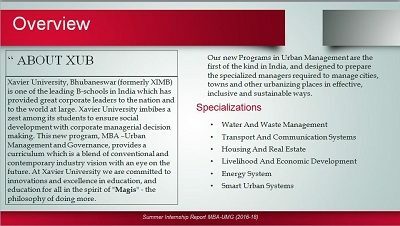 The Xavier University inherits the legacy of the 29-year-old XIMB (Xavier Institute of Management Bhubaneswar), a premier world class B-School in the country. 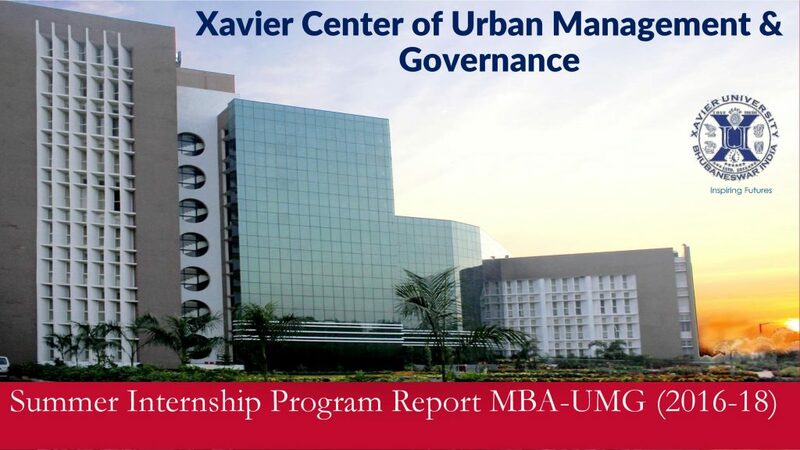 Xavier University came into being with the Government of Odisha passing the Xavier University Act in June 2013. The identity of Xavier University is distinguished by its philosophy of ‘Inspiring Futures’ by not just walking the well-trodden path but striking out and exploring new paths. There is a clear intent to be the first to respond to the needs of the society and enable the building of sustainable communities that inspire the future of the State and the Country serving as an active agent of change. The Xavier Centre for Urban Management and Development develops, transfers and disseminates knowledge about building sustainable, smart & liveable cities. Research focuses on policy & institutional development, governance, planning & management of human settlements in rapidly urbanising geographies. Professional education and capability development include graduate degree, diploma and certificate programs to create expertise for urban development. Policy engagement, technical support & advisory efforts with government, corporate & civil society organisations aim to strengthen knowledge-based governance, planning, and management of human settlements. 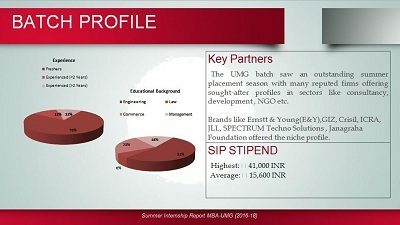 Being the pioneer batch, we are glad to express our token of gratitude to the esteemed organisations like “E&Y, CRISIL, ICRA, JANAGRAHA Foundation, GIZ, JLL and Spectrum Techno Consultants Pvt. 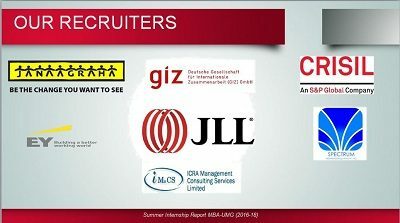 Ltd.”, who illuminated us with the opportunities to gain knowledge and exposure in Urban Domain as interns. Additionally, we are grateful to our faculty members and program coordinator who fortified us during the selection process and guided us as the trailblazer. Avg pkg offered 12lakhs..will it be limited to XIMB Or woud be the close for the XUB UMG as no batch has been placed yet?